The show theme was New Year resolutions. 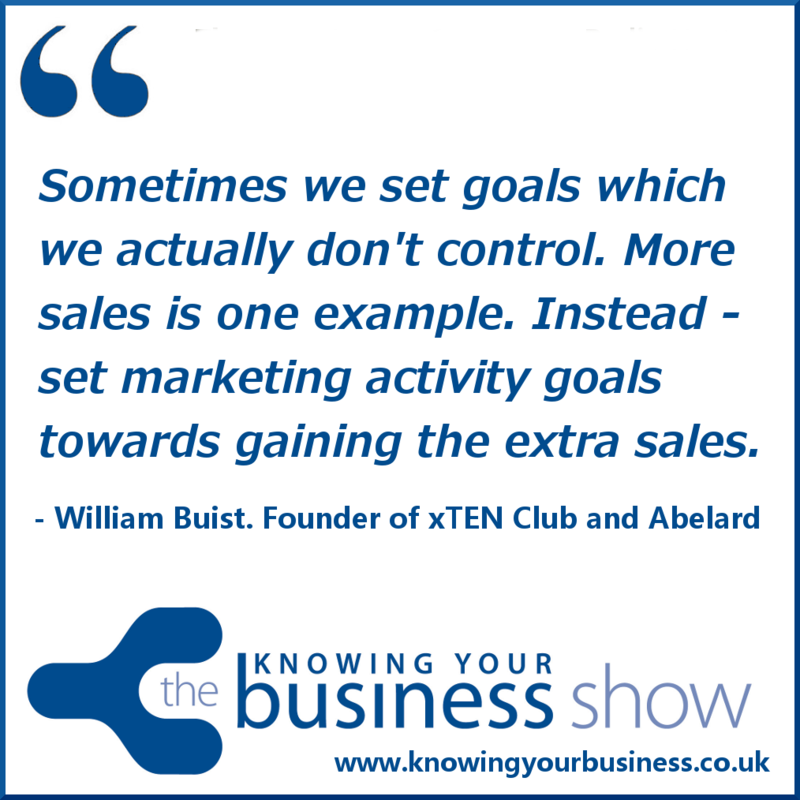 Founder of xTEN Club and Abelard William Buist, gives us his thoughtful business insights in this rather astute radio interview. 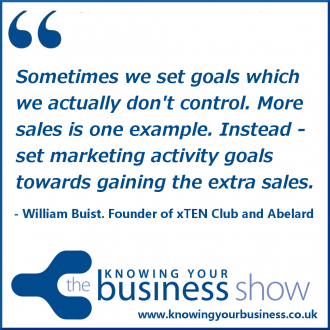 William built up a leading collaborative consultancy, and subsequently founded the exclusive xTen Club, which provides its members with the opportunity to learn from and work with other entrepreneurs. You’ll find William’s Top 5 New Year’s Resolutions for Small Businesses underneath the podcasts. In this 2:53 second snippet William explains how to be more specific on goal setting and focus on what is in your control. This is a brilliant tip. You can hear the full interview with William right here. 1: Implement a strategic content marketing plan. 2014 was the year major brands got serious about content marketing; did yours? Effective content marketing is more than publishing the occasional post to your company blog. You need a clear strategy. We recommend you start with a content calendar. 2: Revamp your social media strategy. Are your tweets and Facebook posts hanging somewhere in social media cyberspace or are you actually connecting with your customers? An effective social media strategy starts with a clear understanding of networks are most relevant for your customers and clients. Just like with content marketing, social media marketing requires a clear plan–‐of–‐action. SEO has been one of the hottest, must–‐do marketing tactics for any small business over the last few years. Getting to the top of Google’s organic search list, or generating traffic with ads, won’t do your business any good if visitors don’t actually convert into customers. This is not something you can do and then leave. You need to measure and test, and change to improve and learn from what happens. Having a clear strategy for what to test and taking the actions is what makes this resolution work for you. 4: Use mobile payment for more secure (and affordable) transactions. With Apple finally introduce its long–‐awaited Apple Pay to the UK in 2015 it’s likely we’ll see a lot of changes, 2015 may even be the year of the digital wallet. 2015 means changing and expanding the payment options your customers have, so that you can work their way. 5: Make your life easier with free apps and cloud collaboration tools. As a small business owner, you wear a lot of hats, juggling marketing and finances with sales and operations. Make your life easier with the right apps, either free or low cost. Planning what you use and why, who else needs access and when, are they strategic questions, 2015 is the year these tools really deliver directly to your bottom line. And a bonus resolution to help keep the others…. The New Year can be a time when people make (and then break) resolutions and often by Easter we look back with mild amusement at our enthusiasm and a tinge of regret for not having actually achieved what we committed to in January. So, find a group or an ally to hold you accountable, and be strategic, not reactive. Then 2015 could be your best year ever. It’s up to you. ← EU VAT changes endanger the future of UK micro firms.